To how many meters of height is Machu Picchu? In the middle of the Amazon jungle, there is the beautiful stone fortress of the city of Machu Picchu, which is undoubtedly one of the most emblematic destinations in South America and the world today, with an antiquity dating in more of 500 years, Machu Picchu captivates every person who likes to venture to travel and to know the world. This cultural and natural heritage of humanity is a unique and rare place, for all the mysteries that after more than a hundred years of its discovery continues to hide. 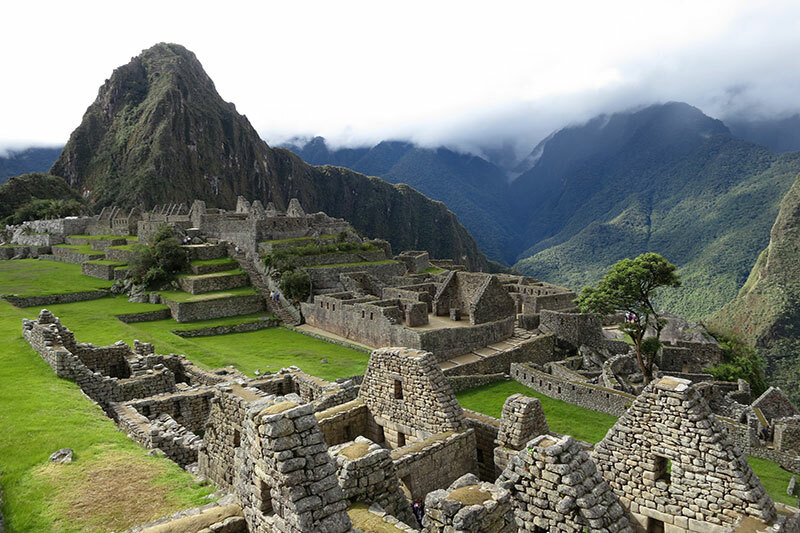 Machu Picchu is at an altitude of 7,972 feet (2,430 meters) above sea level; In front of it stands Huayna Picchu, which gives the classical geography to the archaeological zone, its summit reaches 2,720 meters above sea level. At this point, no matter how physically fit you may be, you may experience symptoms of altitude sickness. (AMS), this malady can usually be given when it exceeds a height of 2,500 meters above sea level, especially if you come from places of low altitude, if we speak in terms of risk, only the cusps of the mountains Machu Picchu and Huayna Picchu would be the places where you would be really prone to acquire such evil. However in spite of the situation, statistically very few visitors to the historic sanctuary of Machu Picchu, who may suffer from this evil. Therefore, travelers should be cautious upon arrival in Cusco, the gateway to Machu Picchu. The imperial city of Cusco has a height of 3,399 masl, significantly superior to Machu Picchu. Upon your arrival in Cusco, especially if you have flown directly from Lima (at sea level), in a quick ascent (1 hour), you should take the recommendations to acclimatise. Newcomers usually want to pass from Cusco to the villages of the Sacred Valley of the Incas. These cities are slightly lower altitudes, so they offer a more gentle form of acclimatization, before returning to Cusco. Once you have acclimatized in Cusco or in the Sacred Valley, you should not have problems with the altitude of Machu Picchu.